Box was founded on a simple, powerful idea: people should be able to access and share their content from anywhere. Since 2005, Box has helped more than 41 million users and 74,000 companies do just that. In fact, more than 59 percent of top Fortune 500 companies trust Box with their content. Since becoming a customer in July 2011, Zendesk has helped scale Box’s customer service through periods of explosive growth and as they’ve expanded support channels. In a few short years, Box’s User Services team grew rapidly, now grouped into multiple tiers and providing omnichannel support by email, web form, web callback, self-service, Twitter, live chat, and phone. 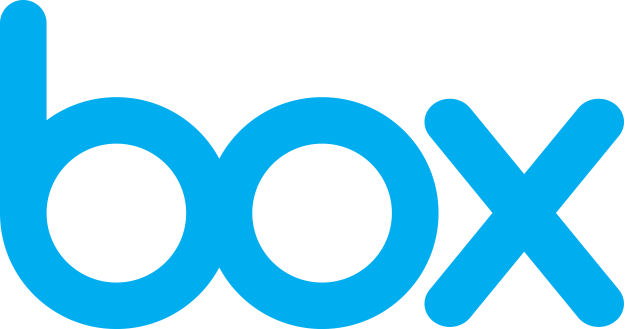 Box initially implemented Zendesk Support in just two months, replacing a feature-packed but cumbersome Windows-based system that required much of the team’s time and attention to support. The User Services team hoped to gain back some valuable time and better visibility into the health and life cycle of Box’s varied customer base—which spans individual consumers to businesses and developers at differentiated plan levels. “We have the responsibility to bring the voice of the customer into the organization and force the organization to respond to it,” said Jon Herstein, Senior Vice President of Customer Success at Box. This can take the form of inviting customers into Box’s Silicon Valley headquarters for monthly company-wide lunches or regularly sharing customer-reported issues back to the product team to help increase customer empathy. A Customer Advisory team also serves to review groups of customers for a month at a time to reassess the support and services that Box offers. “You have to innovate around the edges and constantly refine the offerings that you have,” Herstein shared. This ongoing refinement is something the User Services team is committed to, especially as Box’s use of Zendesk has naturally evolved over the years. The team began by using Zendesk Support and Guide with integrations into SnapEngage and LiveOps/Serenova, but by 2017, the team replaced SnapEngage with Zendesk Chat. Before the Zendesk Chat rollout, Box engaged Zendesk’s professional services to review the way Zendesk was set up in the past and to look for opportunities to use newer features. As a result, by reconfiguring some of Box’s queues, the team was able to begin using the SLA functionality. They also revisited their triggers and business rules to drive better routing. “As soon as we were able to turn on SLAs for web callback, we really started to get a better measure of how we were doing in real-time,” Smith said. “That was from the minute we turned on the new queues, which was a big win.” The team was able to see how many callbacks weren’t completed within 60 minutes and began to optimize around that to the point that missing the timeframe is now a rare occurrence. Box’s support queues are now organized by plan—free, business, and premium—which makes it much easier to provide the differentiated response times that come with each of the paid plans. “We’ve seen a dramatic improvement in getting the right response times and are better able to analyze our data around trends in each of those queues,” Smith said. Zendesk Support has helped scale Box’s customer service through periods of explosive growth and as they’ve expanded channels of support. “A big part of what came out of our services engagement was that we gained a vision for what else might come next. We walked away inspired by the things we can do. Those meetings with Zendesk set off a chain reaction and since then we’ve been running small, iterative projects to constantly make improvements,” Smith said. Other integrations include Salesforce, the Round Robin app from the Zendesk Apps Marketplace, as well as the Zendesk Prioritizer Chrome extension. Box’s Support Engineering Team has also built a handful of custom apps leveraging the Zendesk Apps Framework to further drive agent efficiency. Box has also developed a customer support health score that leverages Zendesk data to proactively engage customers. Additionally, Box has a custom app that provides agents with visual cues based on the customer’s overall engagement and adoption of Box, which is then used to drive business rules. “Leveraging the Zendesk API in this way was incredibly simple and the result has been powerful,” Herstein said. The attention to evolving their support offerings had paid off in dividends for the User Services team at Box. Immediately after switching to Zendesk back in 2011, the team saved 20-30 seconds per ticket and saw a 15-20 percent spike in satisfaction. Since then, their CSAT has continued to climb and holds steady in the face of change. Satisfaction for business customers hovers at 90 percent, on average, and is an impressive 97 percent for Premier customers. Over the years, Box has also realized a 20 percent decrease in first response time. Not afraid to shift channels in accordance with customer and business needs, Box is looking at its channel mix and anticipates that web callback will soon be the second largest channel, following tickets submitted via web form, which account for 35 percent of Box’s 14,000 – 16,000 tickets submitted each month.